I wasn’t much of a traveller till I got married. I only travelled when there was a need and that too only where there was family or distant family staying. But since I got married last year, we have traveled to England, France, Amsterdam, Thailand in the list of countries abroad and to Calcutta, Kanpur, Agra, Jaipur, Mussorie, Rishkesh etc within in India. But the difference in travelling single Vs. travelling with as couple is that if you are single and have funds, you can just hop onto the next flight to Thailand or Singapore. But if you are married and travelling with your partner, then planning is what you have to do. To plan a vacation, you have to be informed, organised and know what you want. The best way to plan your vacation is to look up for information on the internet and make your plans to suit your dates and budgets. 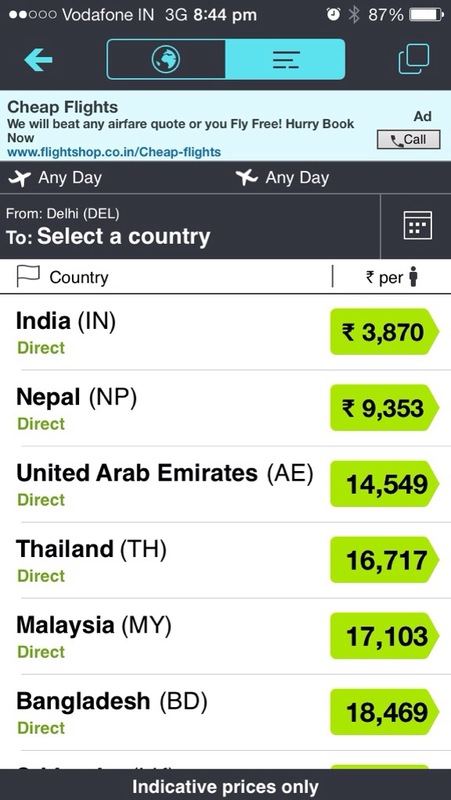 Skyscanner is a travel planning portal and also a smart app. 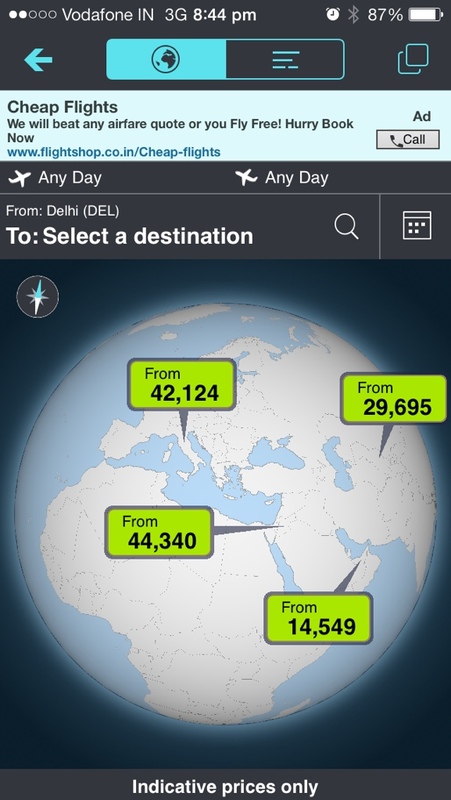 It helps travellers make smart travel decisions using the many features and tools. 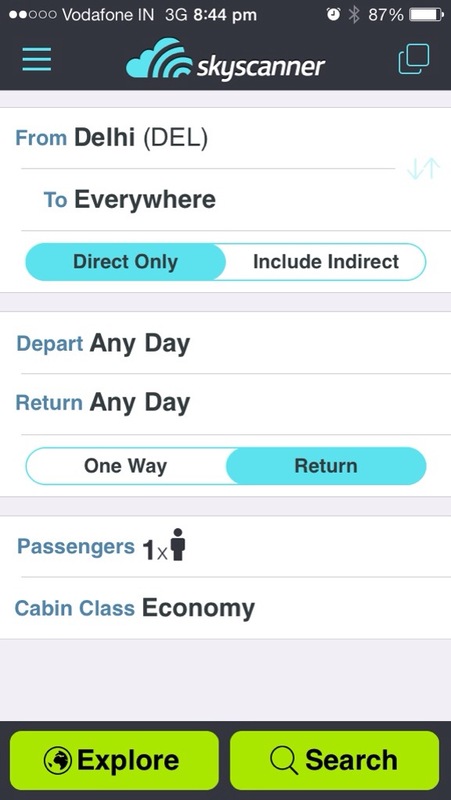 To use Skyscanner for your travel plans, you have to know how it works. And to know how it works, you really don’t have to do anything as it has such an intuitive user interface. All you need to do is decide where you would like to go. What kind of travel destination you have on mind. Are you looking for a cool getaway in the Indian Ocean? Do you want the sight-seeing and entertainment of USA? Or you would like to visit the exotic land within India? 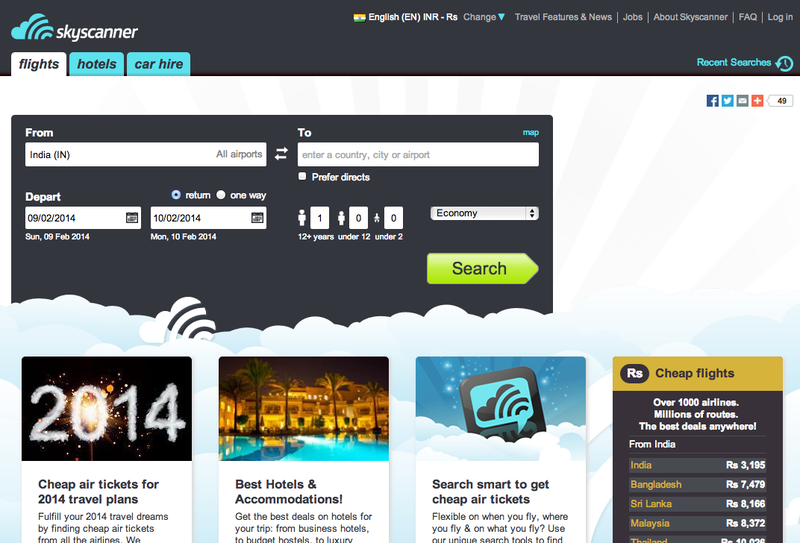 Skyscanner helps you find flights, hotel search, pricing comparisons, deals, lookouts and travel news much more. It’s more like your partner in your travel decision making process. 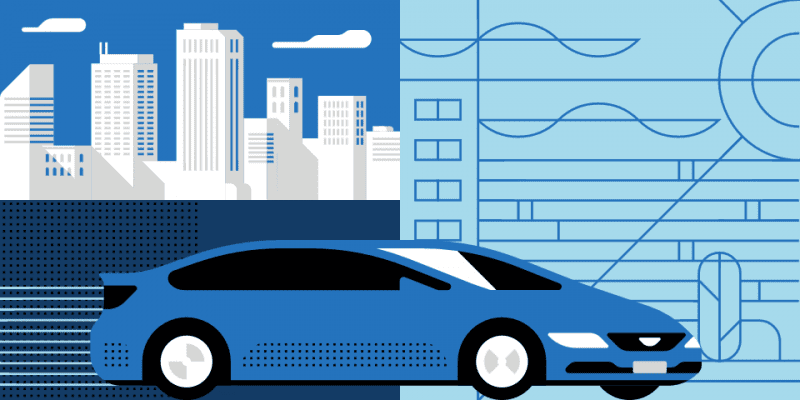 On the homepage, you have the tools to check out flight pricing for preferred dates and destinations, find the best and cheapest hotels and even hire cars . All you have to do is type and leave the rest to Skyscanner. 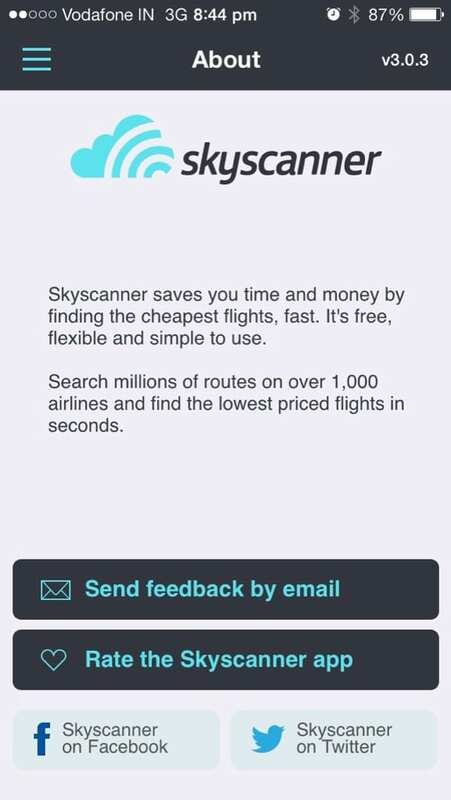 As you can seen in the screenshot, Skyscanner smart algorithm shows the cheapest flights from over 1000 airlines flying on millions of routes right on the homepage without even entering any information. Not only that, the reason why this post is titled ‘Travel smart with Skyscanner‘ is because Skyscanner is so smart that by just putting an alphabet, it shows me the possible locations and airports in a jiffy. 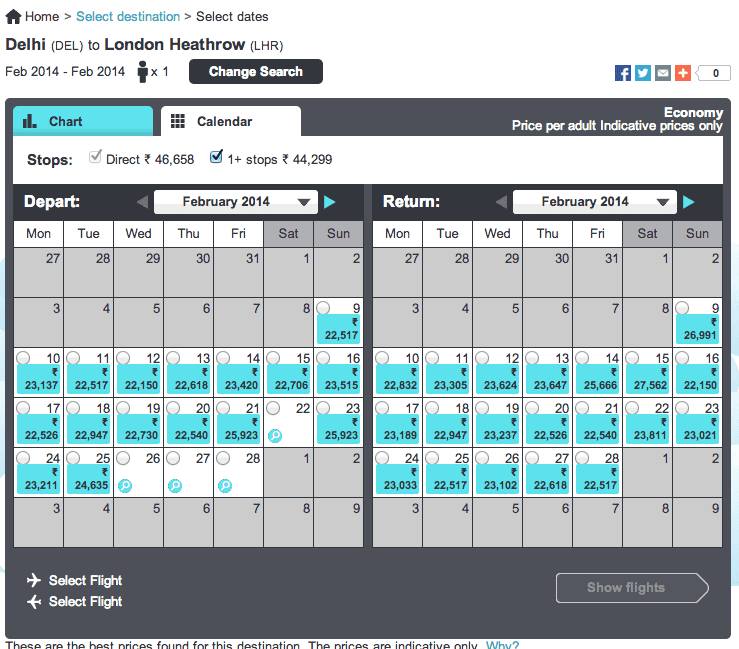 For example, I put the letter ‘H’ and the smart Skyscanner showed me LHR (Airport Code), Hamburg (City) and so on. So once you have everything in place and you click the search button. You don’t like the deals and the fare seem too high? 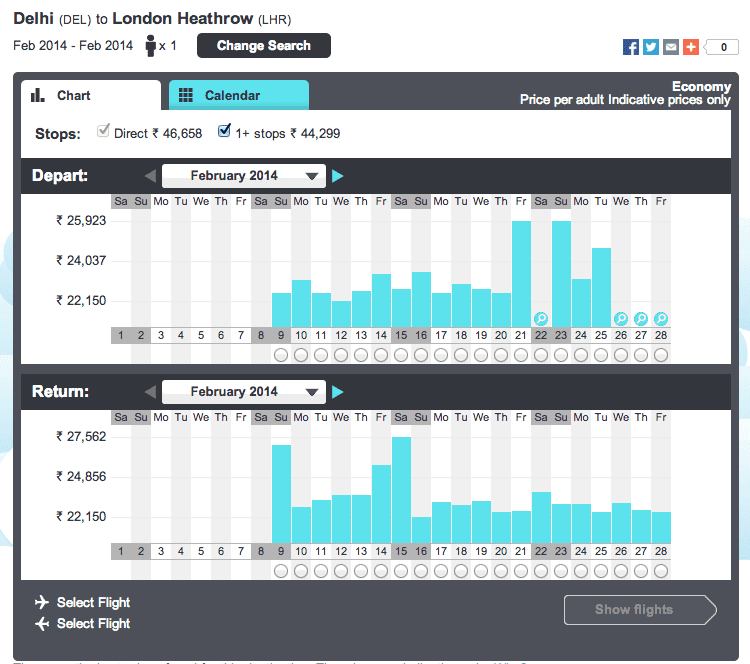 No problem, just head back to the trip planning tool to compare fares over a 30-day spread. 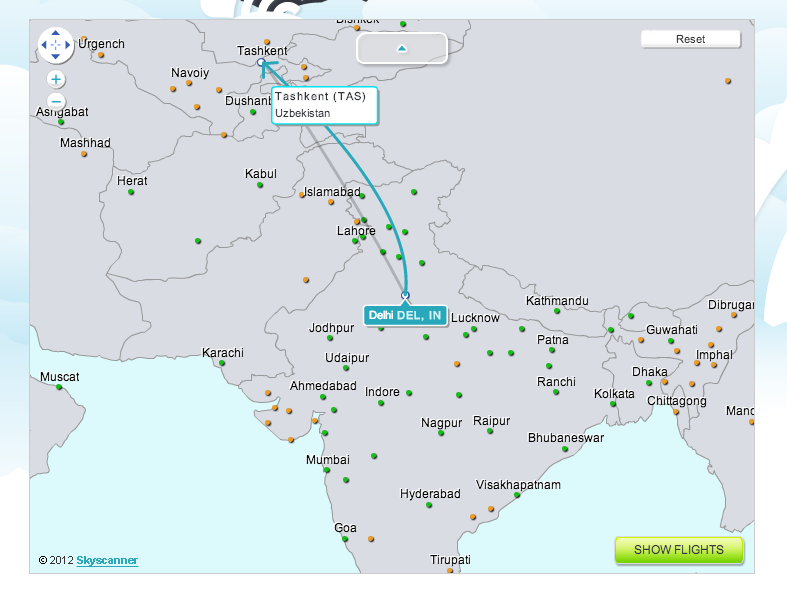 For low fares across departures, click the tabs with the chart icon and you get a graph view with a 30 day price line quote. Decided upon your flights and dates? 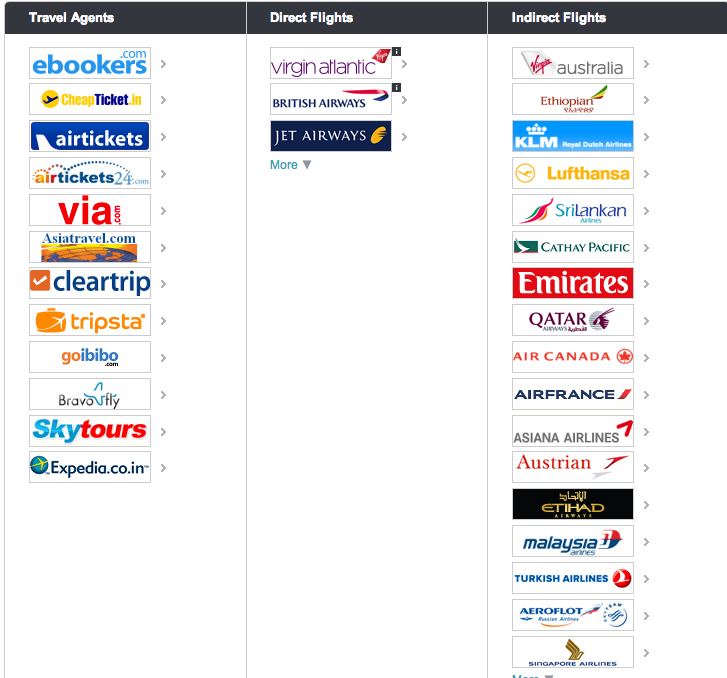 Then start shopping for your flight tickets using directly from the vendor or travel agents. Look for hotels, resorts and inns worldwide. View photos, maps and reviews to plan your ideal destination. 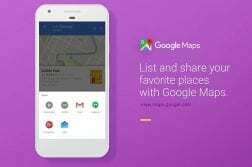 You can use the maps to navigate, make hotel reservations and plan your stay. On the top left it shows the total number of Hotels available in the area and the number of available out of these. As its not easy sort out from so many available properties. 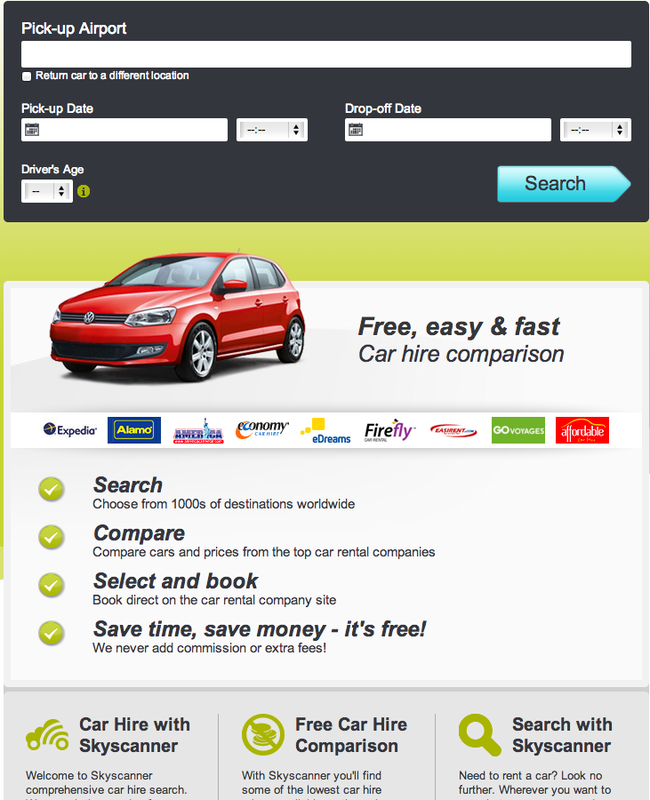 You have an option go sorting the results by Popularity, Price, Distance to Centre, Name, Rating and Stars. 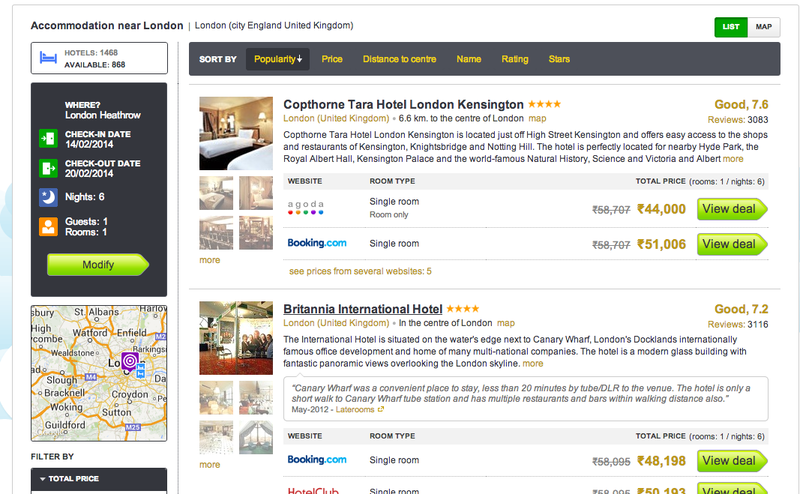 Each listing offers photos, sources, room types, distance to the centre of the city, user reviews. That takes us to the Car Hire section of being a smart traveller. Whenever you are travelling to another country, what worries you most is airport transfers as there maybe a language barrier, you don’t know the ways and you are worried about not finding legit transport from the airport. But with Skyscanner you can take that worry too off the list. So without wasting any more time ‘Create your account’ on http://www.skyscanner.co.in/.Also like thier Facebook page https://www.facebook.com/SkyscannerIndia and be updated on best ongoing offers and deals. Plan your trip. Decide when to buy tickets, where to stay and when to fly.